I study the pollination of “perfume orchids”. 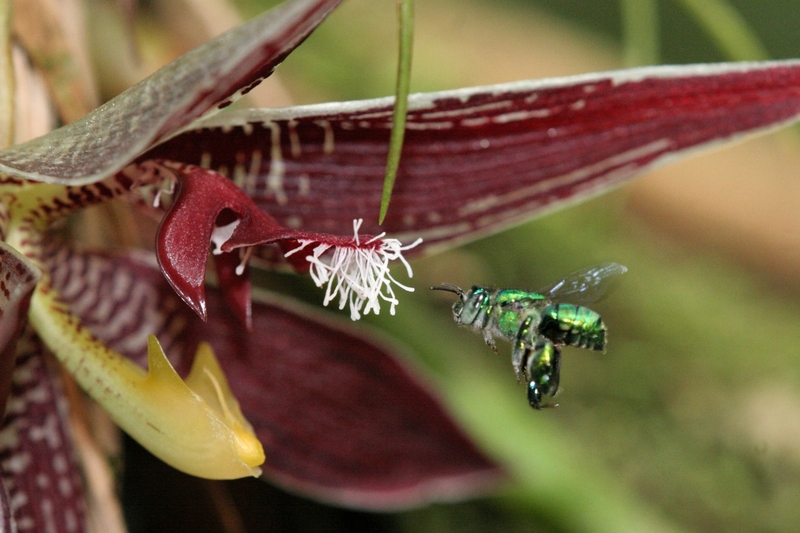 These orchids are pollinated by beautiful euglossine bees, which are attracted by and which collect floral perfume. The fascinating thing about my research is to find out how the complex pollination mechanisms work. In the shown orchid, the bee lands headlong on the papillae and crawls down the lip to collect perfume. When it crawls backwards, it falls off the lip due to a protruding tissue and pollinates the flower.